I have known Jeff and his family since Grady was in first grade, that was way back in 2000(maybe it was second grade but suffice it to say, a long time). They have remained friends through grade school and junior high, even when Jeff went to a different school for a few years, they stayed in touch. Yesterday we met up for his SENIOR PHOTOS.... what the heck? how is it possible that we have gone from elementary school to this in such a short time. Honestly I thought it blew my mind doing my nieces senior photos last week but this was more than I could take. Seriously, I even teared up a bit this morning while going through his photos I realized that this is the last year we will have all of Grady's friends around, the last year we will see them walking the halls of the high school, the last year we will listen to them make plans together, the last year they will be kids. And he looked so grown up, so much more man than boy and that was just mind blowing to me. I will probably say this in every post about seniors this year(sorry that is going to be a lot) but it is just crazy how fast it goes. So it started out like any other session... Jeff standing awkwardly by some building or tree or what have you and me snapping and chatting away getting him comfortable in front of the camera. It quickly, and I do mean quickly went downhill from there... these following photos are just a small sampling of Jeff's idea of posing. By this time he was MUCH more comfortable in front of the camera. Oh and it had started to rain. And then I caught this moment which looks really comtemplative and serious but I think he was watching the man who had imbibed just a bit too much trying to navigate the dock. In all seriousness though he looks like a model for Ambercrombie or Hollister.. CRAZINESS I tell ya! I remember when he still had his sweet little rounded out baby face. Thank You, Thank You, Thank You Jeff for being so much fun and doing just what I said "sit", "stay", "down boy down!" 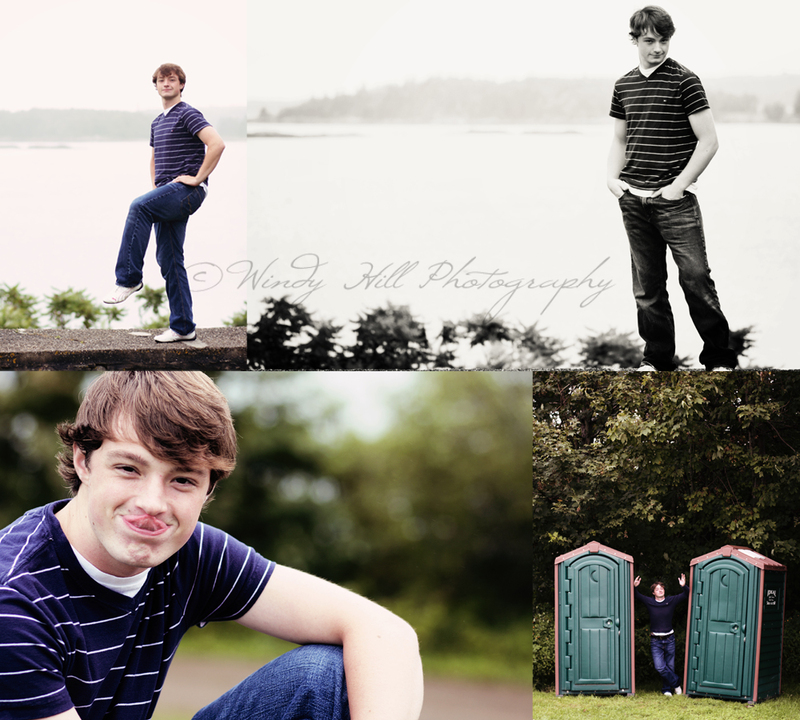 And Thank You to Karen for trusting me with his senior photos!